I confess – I love Christmas! I love the sights and the sounds that are characteristic of this holiday season. I love gathering with family, eating well (probably eating too much), and shopping for that ‘perfect gift’ for loved ones. Since we’ve been married, my wife and I have started new traditions such as driving around the city looking at Christmas lights, enjoying peppermint mochas, taking the train to center city with good friends and enjoying dinner together, and hosting a Christmas gathering. Most recently we started what I expect to become a lasting tradition – we watched A Charlie Brown Christmas. I must admit that I was quite surprised to know that my wife had never seen it, but she really enjoyed it. I heartily recommend it to you. At the heart of this cartoon lies Charlie Brown’s dire desire to understand the true meaning of Christmas. Disgusted with the trappings of materialism and capitalism, Charlie Brown yells out, “Isn’t there anyone who can tell me what Christmas is all about?” I suspect Charlie Brown wasn’t the first and will not be the last one to ask this significant question. Also immediately, the hero of the story emerges. Charlie Brown’s faithful friend, Linus Van Pelt, steps in and consoles Charlie Brown’s conscience by explaining the meaning of Christmas from Luke 2:9-14. (1) An angel appears and announces the birth of Christ to shepherds (v9-10). (2) The angel calls the birth of Christ good news of great joy for all people (v10). (3) Christ’s birth was a historical event in a historical city (v11). (4) The angel says Christ is the Savior and Lord (v11). (5) A multitude of angels join the angel and burst out in praise to God for this significant event (v14). Now, let’s consider another angelic announcement concerning the birth of Jesus from Matthew’s gospel (1:18-23). (1) An angel appears to Joseph to inform him of the unique conception of Jesus by the Holy Spirit (v20). (2) The angel confirms to Joseph what the baby’s name will be and what that child’s mission will be – He will save His people from their sins (v21). (3) Matthew records that Jesus’ birth was a fulfillment of prophecy preordained by God foretold by Isaiah (v23). (4) Jesus is God (v23). What’s fascinating about these two announcements is that Christ’s ultimate identity and work was conveyed. He is the Savior and Lord (Luke 2:11) who has come to save his people from their sins (Matthew 1:21), something only God can do (Matthew 1:23). This is not a matter of coincidence, but rather of utmost significance. These two truths need to be proclaimed again and again and Christmas is one of the most opportune times to proclaim them. The incarnation of Christ, or Christmas, is a reminder that God keeps His promises. The promise of the coming of Christ was God’s promise to redeem creation, rescue a people from His wrath and bring them into everlasting fellowship with Him. The only way that this could happen was by Christ living a life of complete obedience to the Father and then taking on the Father’s wrath for our sin. Christ was born to live the life God requires of mankind and die the death mankind deserves for breaking God’s law. Christ came to deliver us from God’s wrath and deliver us to God’s kingdom of everlasting joy and peace. This is why the angels pronounced the birth of Christ as good news of great joy and this has always been God’s plan. From before the foundation of the world, God purposed to save a people from every tribe, language, people and nation (Revelation 5:9) for Himself and redeem all of creation through the atoning work of His Son, Jesus Christ. 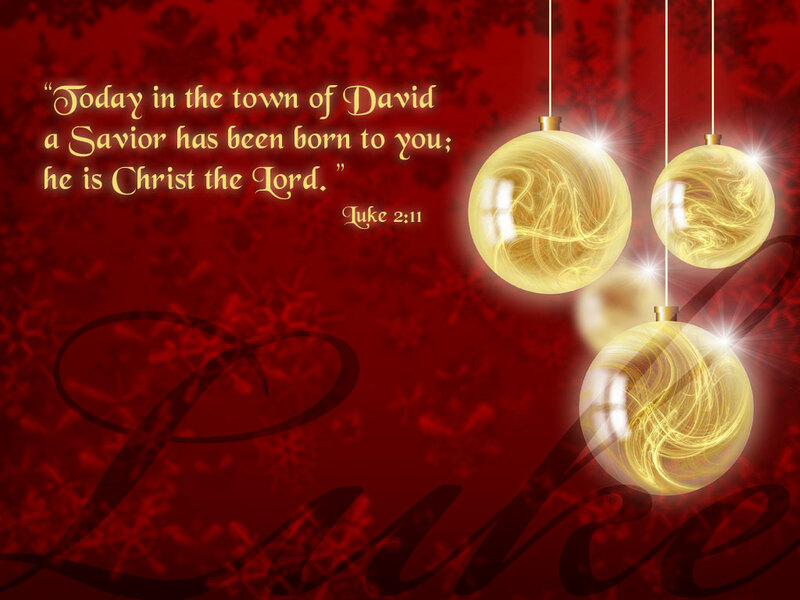 This is the ultimate meaning of Christmas and why Christmas matters!